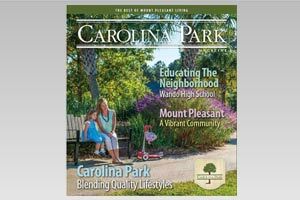 The Carolinas offer family fun at the beach, fun parks and historic cities. Indeed, sand dunes and gentle breezes make the coast perfect for any type of activity, but especially golf. The Carolina coast is a mecca for golfers. From Nags Head to Hilton Head Island, verdant fairways beckon golfers of all ages and levels. Golf in America began in the Carolinas in 1786. From 200 years ago to today, the golf craze has continued to this day. The South Carolina/North Carolina golf coast offers exceptional variety and challenge in one of the world's most acclaimed destinations. World-class courses situated on breathtaking coastal terrain range from true links style to tight wooded Lowcountry layouts. Designers such as Tom Fazio, Arnold Palmer, George Cobb and Willard Byrd have made their mark on Carolina golf. Whether you prefer classic, old-style golf or a more contemporary layout, you'll find what you're looking for. The following list of coastal Carolina golf courses is believed to be the most comprehensive to date. Information was carefully checked with each course to insure accuracy at the time it was compiled.